EDWARD FLIP-FLOPS. walang tiyak na layunin idea... Did it with 'Paint'... :P I think I should totally start a Twilight Flip-flops production. 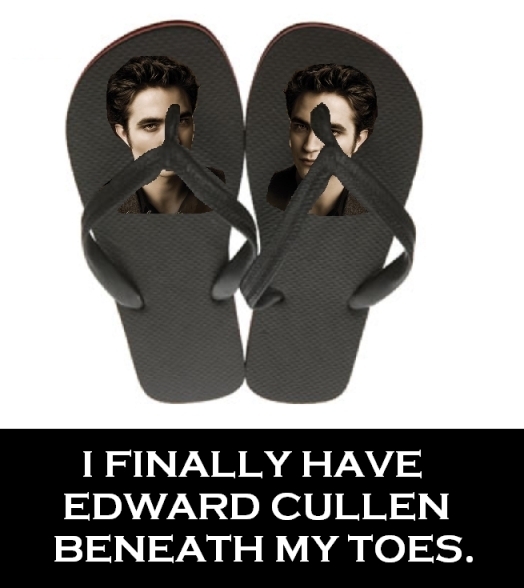 I can imagine the millions of dollars I can make from Twifans; just sa pamamagitan ng stamping Edward Cullen's head on the flip-flops... *giggles* TEEHEE! X). Wallpaper and background images in the Critical Analysis of Twilight club tagged: twilight edward cullen critical analysis funny flip-flops.